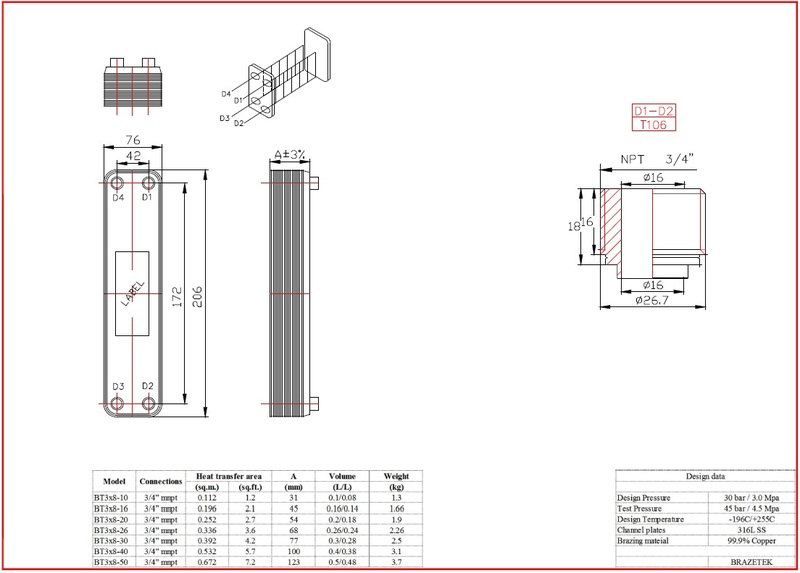 Applications: Beer and Wort Plate Chiller. Cools your beer in minutes. The small and compact design makes integration into any brewing setup a breeze. Adaptors are not included and must be purchased separately if needed. 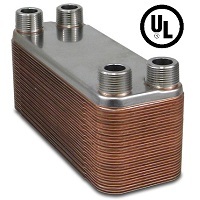 BT Series heat exchangers designed especially for hydronic heating and cooling applications, including radiant heating, solar hot water heating, ice and snow melt applications, domestic hot water heating (DHW), outdoor wood stove and wood boiler heating, SVO conversions, and as a general alternative to shell & tube heat exchangers.